Yes Pat, as an English major, I've always held this one in high esteemed and in high school read it more than once. 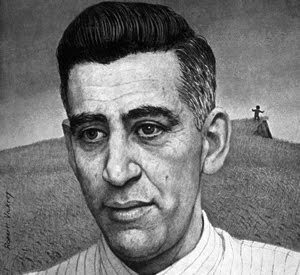 What really amazed me about Salinger's passing, were the renewed reports of his fanatical reclusiveness, and supposed meaness of spirit. He was filing lawsuits till the end and ven forned his publishers to keep his photo off the dust jackets. But few books (as you note yourself here) have left such an unforgettable impression. To this day it's taught vigorouly in high schools and colleges.